This morning, The Nevada Independent filed a public records request for the recording of the attorney general made by the chairman of the Gaming Control Board. Because the recording was made in the furtherance of Chairman A.G. Burnett’s public duties, the recording is ipso facto a public record, the records request to the control board says. We are also getting reaction from a variety of sources to the revelations of the secret recording and will update the site during the day. Nevada’s chief gaming regulator surreptitiously recorded a conversation with Attorney General Adam Laxalt, who approached him about interceding in a lawsuit on behalf of his biggest donor and Nevada’s wealthiest casino magnate, Sheldon Adelson, The Nevada Independent has learned. Gaming Control Board Chairman A.G. Burnett subsequently turned the recording over to the FBI, which decided no crime was committed by Laxalt, sources confirm. The attorney general had plaintively requested a meeting with Burnett to discuss a Las Vegas Sands court action and the state’s potential role in publicly agreeing with Adelson that certain government documents should be kept private, multiple sources have confirmed. 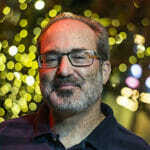 Sources with knowledge of the recording say Burnett secretly taped the conversation out of an abundance of caution and in order to protect the agency and the state because of previous pleas by Las Vegas Sands lawyers to have the state intervene in a highly contentious wrongful termination lawsuit in which hundreds of millions of dollars were at stake. Sources say Burnett perceived an unusual urgency by Laxalt, known to have a close relationship with the Sands and its operatives, to discuss what could be potentially inappropriate: the state seeming to side with a licensee in a private dispute. What’s more, the meeting came at a time when both federal authorities and the state Gaming Control Board were investigating Las Vegas Sands and considering multimillion-dollar fines. Burnett, sources say, decided to record the conversation — Nevada is a one-party consent state — because of the confluence of events, including the trial that could cost the Sands a fortune and possible fines coming from Washington D.C. and Carson City. Like most state government insiders, Burnett also knew of Laxalt’s close relationship with the Sands. The company’s chief capital lobbyist ran Laxalt’s campaign, and the attorney general has received $55,000 in campaign donations from the Adelson family and the Sands. His Political Action Committee has received another $50,000. Laxalt’s plea to meet with the control board chief came shortly after Adelson himself had asked the attorney general about whether the state would intervene in his company’s acrimonious lawsuit with an ex-employee from Macau, something gaming regulators are loathe to do. Not long after Burnett made the secret recording, Adelson trekked to Northern Nevada to meet with the gaming chief and tried to persuade him to have the state intervene in his lawsuit with ex-employee Steven Jacobs, asserting that certain documents shared between federal and state authorities should be deemed confidential. They discussed the issue at length, but Burnett told Adelson he would not accede to his request, sources said. The attorney general’s office decline to comment on Laxalt’s reaction to being recorded by Burnett. Sands spokesman Ron Reese did not dispute the substance of the conversations between the company and both Laxalt and Burnett. But he declined to discuss “details of a private meeting.” The FBI did not respond to a phone call and email about the recording. But multiple sources with knowledge of what occurred have confirmed this extraordinary sequence of events, and Laxalt apparently had no knowledge of the recording until The Nevada Independent inquired about it this week. This has remained quiet for nearly a year because a very small circle of people knew about it, many of whom remain reluctant to talk publicly about the Gaming Control Board chairman recording a conversation with the chief law enforcement officer of the state, and because of confidentiality statutes. When The Nevada Independent first inquired of the attorney general’s office as to why Laxalt felt the urgent need to talk to Burnett about a private civil dispute, the answer was: No comment unless Burnett, who is the client of the attorney general, waives confidentiality. Burnett refused to do so. Burnett made the recording last April during a particularly confrontational time in an ongoing lawsuit filed by Jacobs, who alleged wrongful termination against the Sands in 2010 and accused the company of various improprieties in Macau. Adelson countersued and the dispute catalyzed federal and state investigations. The parties were squabbling at the beginning of last year, as they had been for years, over whether certain investigative documents were privileged when Adelson operatives began importuning Burnett to intercede and declare them confidential. Adelson also contacted Laxalt in March 2016, but he reportedly informed Sands officials that as the lawyer for the control board, he would have to consult with the chairman. Shortly thereafter, Burnett was preparing to go on a family vacation when Laxalt insisted on meeting with him about the topic. 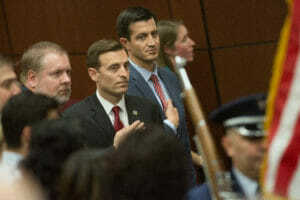 After recording the conversation, in which Laxalt, as Burnett saw it, was trying to give him legal cover for the state to intervene, he contacted other state officials for counsel on how to proceed, sources confirm. After receiving advice on what to do, Burnett called the FBI and turned over the recording. Shortly after Burnett secretly taped Laxalt, Adelson asked for a meeting with Burnett and flew to Reno. The Jacobs case had been set for trial in June. On the same April day that Adelson met with Burnett, a Supreme Court hearing was, coincidentally, occurring on the Sands chairman’s efforts — ultimately unsuccessful — to disqualify District Court Judge Elizabeth Gonzalez from the case. Adelson, accompanied by his top lieutenant, Andy Abboud, pressed Burnett to agree to have the state declare in court that any investigative documents were privileged. But Burnett did not budge. A couple of days later, the SEC announced it had fined the Sands $9 million in a settlement on allegations under the Foreign Corrupt Practices Act. One month after that announcement, the Gaming Control Board closed its own probe of Las Vegas Sands with a $2 million fine. On June 11, not many weeks after Judge Gonzalez was not disqualified from the Jacobs case and the state declined to intervene, Las Vegas Sands settled with Jacobs for what the Wall Street Journal reported was $75 million. Photo of Attorney General Annex via iStock.com. Photo credit jmoor17.